This will cheer you up just looking at it! 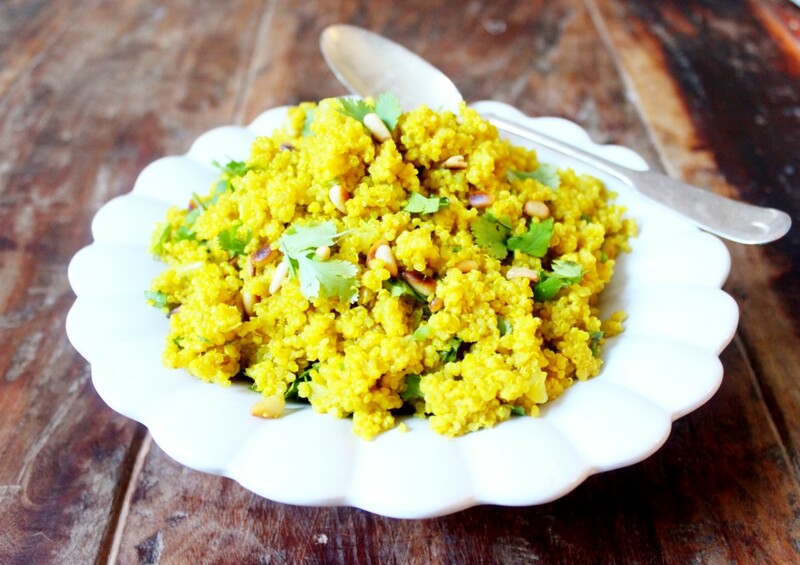 A lovely burst of sunshine yellow quinoa infused with garlic, turmeric and onions, all tossed with toasted pine nuts and fresh coriander. This is full of flavour and goes gorgeously with just about anything, all while requiring minimal effort- the dream! 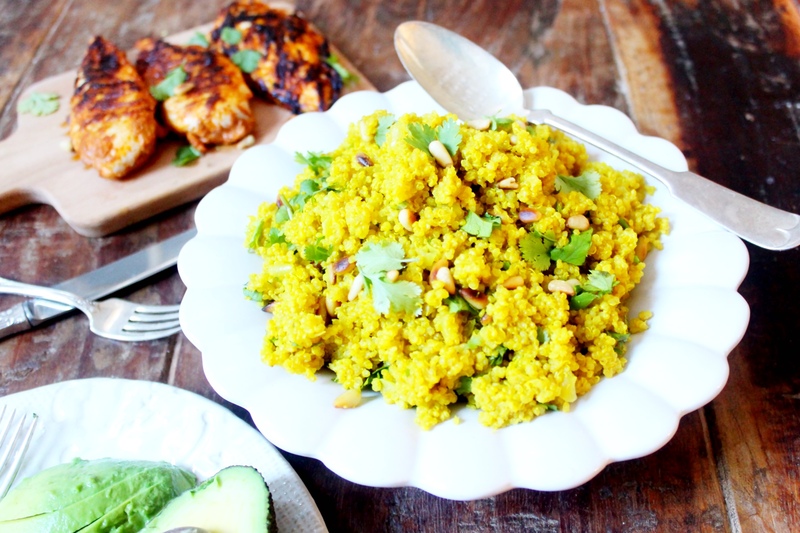 The turmeric and garlic make it great for your immune system, too. Add about a tablespoon of coconut oil to a pot on medium heat. When it’s melted, add in the diced onion and minced garlic. Let them cook for about two minutes, stirring regularly. Add in the quinoa and turmeric and stir everything, spreading the lovely yellow evenly throughout. Pour in the stock and pop the lid on. Cook the quinoa for about 10 minutes, or until all the water is absorbed. You want there to be little to no excess water, but it should still be a bit too soggy to serve. Take it off the heat and fluff it with a fork. Pop the lid back on, keeping it off the heat, and let it rest and absorb the last bit of water. While that’s resting, add the pine nuts to a pan on medium heat. Toast them for a few minutes, tossing regularly until they’re golden brown. Remove the coriander leaves from the stalks and give them a rough chop. 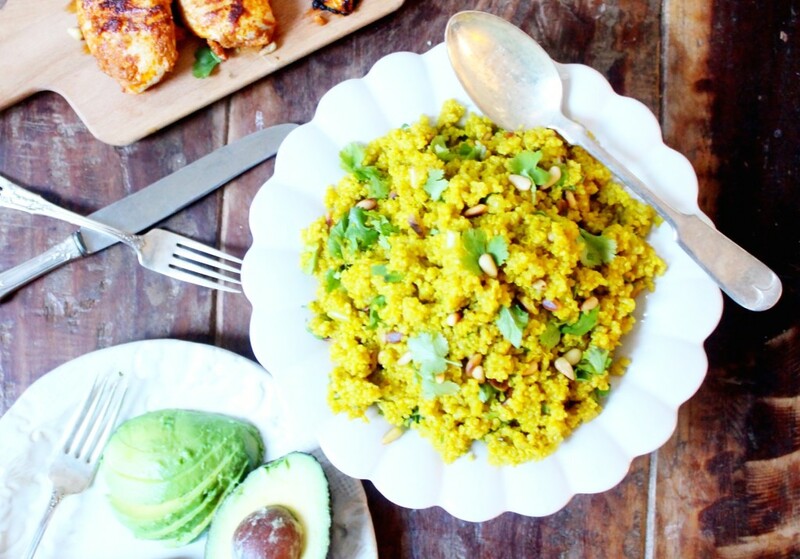 Fluff the quinoa one last time and add it to a bowl, add in the coriander and toasted pine nuts and toss everything. An amazing recipe, a must try one. I really want to make this it looks amazing but am confused by the measurements- probably a really stupid Q but how big is a cup?! Cups are a measurement for volume rather than weight. It makes it much easier as you can visualise amounts! You can get cup measures in any kitchen shop and in most supermarkets but in the meantime you should have cup figures on your measuring jug which you could use for this as its a whole cup (when it’s smaller amounts its very difficult to use a measuring jug!). Hope that helps! This is so easy to make and it’s super tasty. I can see myself making this one regularly! I’m going to cook this tonight. 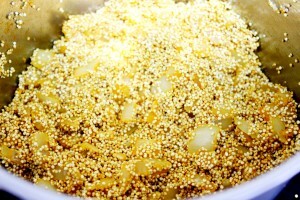 I’ve never cooked Quinoa before and wonder if it can be eaten cold the next day?